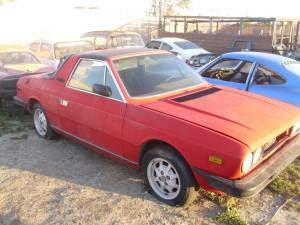 Just A Car Geek: 1982 Lancia Beta Zagato... Cheap Project Or Parts Car? 1982 Lancia Beta Zagato... Cheap Project Or Parts Car? There is very little information this listing and just one picture. This might be a bargain restoration project or a good parts car. The seller says it was "parked as a running car", is "complete" and in "decent shape." Those are the typical words you see when someone is describing a car that has been sitting for awhile. Two things make this car interesting... 1) Based on the one picture, it doesn't look too bad. The grille appears to be missing and the front bumper is slightly bent, but I see no other body damage or rust. - Reality check: Bondo will fill in any rust hole and make a car look great in pictures... We have no idea what the left side of the car looks like. I'm just saying that from the one picture, it doesn't look too bad. - 2) The seller is asking a realistic price of $750.00.